I love supporting local makers and especially ones that have a conscience for our environment, so I jumped at the opportunity to support this lush new start-up based around the corner in Surrey. Glower is a two-man band run by An Marien and David Barnard and they sent me four lovely t-shirts to try out for size. And the good news? They fit! I’m always on the hunt for quirky outdoor inspired t-shirts and tops but have found it pretty tricky find any in recent months. Lucky for me I stumbled across Glower on Twitter one wonderful afternoon and our relationship just blossomed. I love their fresh designs, love that they’re hand printed — so you really know you’re getting something unique — love that they’re UK-based, love the feel of the t-shirts and LOVE their responsible and sustainable approach to their work. And can I tell you a little secret? They cater just as much for women as they do for men (well, if we’re being pernickety, they actually have a couple more designs for women) — now that’s something to shout about! The duo print t-shirts, sweatshirts and hoodies and when designing, focus on style and comfort. Everything is inspired by a love of good times spent outdoors — whether that be cycling, camping, mountain biking, snowboarding or simply exploring the great outdoors. An and David founded Glower in 2014 and they hand print all designs in their workshop in Farnham, Surrey. They’re involved in every step of the process, so they have complete control over their creations, quality checking throughout. Printing by hand also allows them to experiment and tweak. And as nothing is automated, every product ends up with its own individual feel. And that’s exactly what you want to do just looking at the t-shirts. A big thumbs up from me! Note: I was gifted four t-shirts from Glower in return for a review. All views are my own. Ever wanted to run away to the mountains? 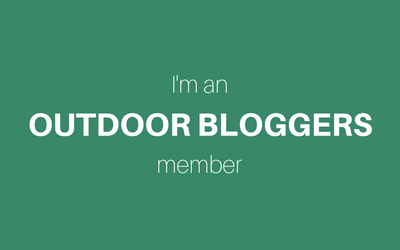 Join a community of outdoor chics! Subscribing to Outdoor Chics is all you need to get inspired for a life in the outdoors. Keep up to date with our latest adventures, videos, challenges, competitions, events, gear reviews and much more! Hey Jenni, so glad you like them – I love supporting small local makers 🙂 Morzine is seriously beautiful – you been? Ooh, they really are pretty and I love that they are ethical and local to you. The designs are cool too, kind of geometric as well as outdoorsy. Oh thanks so much Sarah 🙂 Morzine was amazing, to be fair, all the Alpine region is beautiful! You been anywhere in the Alps? Really like the prints here. I’ve recently been working with The Buddy Bear Company a British brand, that also does some lovely outdoors inspired printed tees. Morzine is fab isn’t it? Only ever been in winter to snowboard mind you, but it’s a very pretty place and the mountains are stunning. Hi Margaux – read this blog post again (because I can!). Thanks for the nice words, glad you liked the prints. It’s also lovely for us to hear positive comments about our work and products from your inspired readers. Looking at the pics: all of our other tees with the mountain have 2 clouds at the back, and yours has 1 – so you see, you have a truly unique piece! Think I was still experimenting with what I wanted ;). Hi An, oh wow, that is cool to know! You mean the grey men’s one with the luminous cloud on the back? I told you they were fab tees that deserved some good coverage 🙂 Thanks for the kind comment. Visit Outdoor Chics's profile on Pinterest.